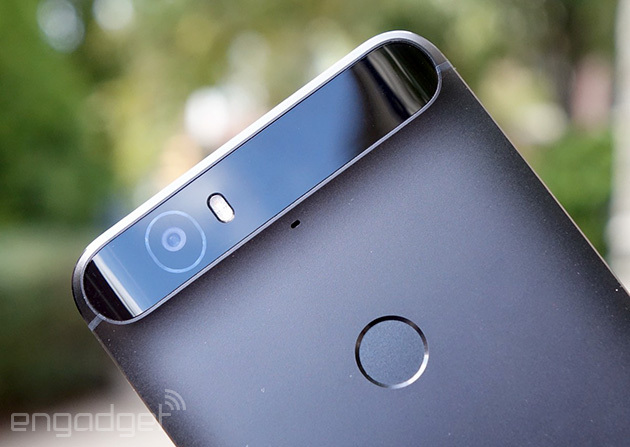 The Wirecutter's best deals: The Nexus 6P, and more! Every year, like clockwork, Google and some popular phone maker cook up a handset to be a standard-bearer for the newest version of Android. Well, maybe not every year: This time around there are two of them. While the LG-made Nexus 5X is a direct successor to the beloved Nexus 5, things aren't quite as straightforward with Huawei's Nexus 6P. It's a sleeker, smaller, more powerful take on the phablet formula Google and Motorola tried to crack with the Nexus 6, and it seems to hit all the right notes. Hell, with a price tag that starts at $499, it's even cheaper than its predecessor. All that said, there's never been a better time to be in the market for a new phone -- Android or otherwise -- which means the Nexus 6P faces some stiff competition. 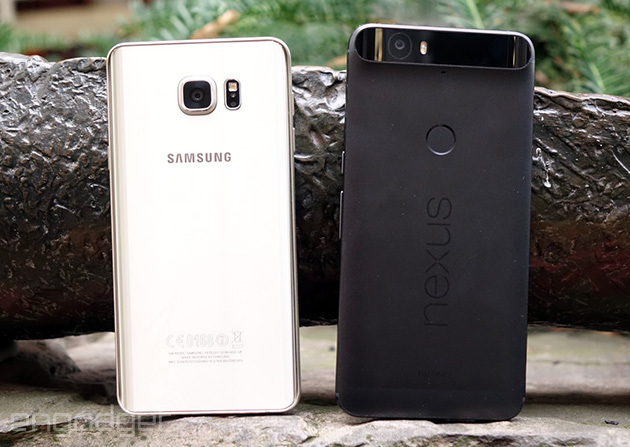 The bigger of this year's two Nexus handsets seems like a dream on paper, with premium build quality, top-tier specs and access to the latest software updates straight from Google. Most importantly, Google finally has made a big phone that's comfortable to use with one hand. It's great for die-hard Android enthusiasts, but we're all spoiled for choice this year and the Nexus 6P doesn't do much to outshine the competition. 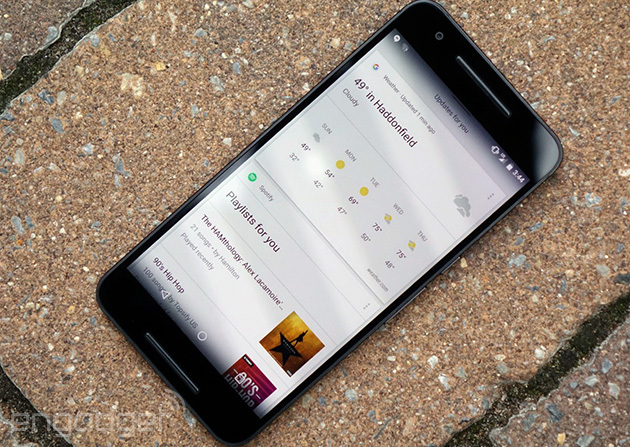 How would you rate the Nexus 6P? I love that none of the previous Nexus phones really looked like each other -- they're just as much a reflection of our changing tastes in hardware as they are showcases for Google's latest and greatest software achievements. The evolution is impossible to miss: After generations of plastic phones, Huawei's sturdy, all-metal 6P is svelte (7.3mm thick) and surprisingly light, at 6.28 ounces. In fact, the monolithic slab of aeronautical-grade aluminum used here is basically the polar opposite of last year's Motorola-made Nexus 6. While Moto hoped its phone's curvy shape would offset its size, Huawei takes a different approach, emphasizing sheer thinness to achieve comfort. This plan worked. I was a little wary of the 6P's overall feel when I first saw it, but I've grown to appreciate its light weight and dimensions -- well done. And the looks? Eh. The graphite-colored review unit I've been testing has a little less character than the white or silver versions, but some people will appreciate the spartan aesthetic applied to the whole 6P line. 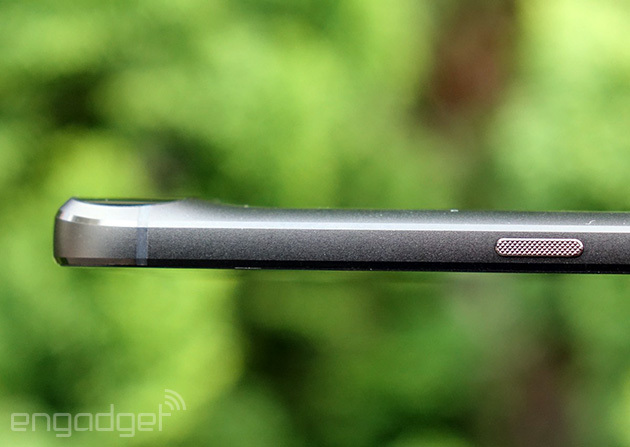 A quick look around the 6P's edges reveals a headphone jack on the top, a nano-SIM slot on the left and a USB Type-C connector on the bottom. The 6P and 5X are the first major, widely available smartphones that use Type-C, and Google says you should get up to seven hours of use from a 10-minute charge with the included 3A charger (more on that later). Since anyone buying a new Nexus is probably starting a whole new phone cable collection, Google included both a Type-C-to-Type C and a Type-A-to-Type-C cable in the box. Meanwhile, there's a volume rocker and a power button nestled on the phone's right edge, and I've been having serious problems with the latter. See, it's got a nice, grippy texture that helps it stand out from the volume keys, but it takes hardly any pressure at all to actually use it. That means even glancing blows were enough to accidentally shut the screen off while I was in the middle of a Hangouts conversation or thumbing through a book -- I asked a few friends if it bothered them as much as it did me and got a wide range of answers, so your mileage may vary. Still, I keep shutting off the screen by accident at least twice a day, and I don't see that changing soon. Given the phone's tendency to fire up its 5.7-inch WQHD AMOLED screen whenever something brushes the power button, it's a good thing it also packs what Google calls the Android Sensor Hub, a secondary processor that monitors data from all the phone's sensors so the main CPUs don't turn on the screen and burn power when it's not necessary. Speaking of the main CPU, Google and Huawei went for a familiar one -- it's a more recent (think v. 2.1) hardware revision of Qualcomm's octa-core Snapdragon 810 clocked at 2.0GHz, along with 3GB of LPDDR4 RAM. We've seen that configuration pop up before, and with good reason: It makes for a total powerhouse. Our review unit is a $549 64GB model, which sits in the middle of the 6P hierarchy with a $499 32GB option below it and a $649 128GB version at the high end. Take my advice: You'll want to splurge on extra storage since there's no way to expand it via a microSD card. At least the base model comes with 32GB of space, something Apple definitely, definitely needs to consider. Onward and backward! You can't miss the 12.3-megapixel camera at the top of the 6P's back because it's surrounded by a spacious, glassy back bar. Turns out that curious expanse solves a crucial engineering issue: While the camera and two-tone LED flash are plainly visible, you can't see the laser autofocus module or the coils and antennas Huawei crammed in there to mitigate the connectivity issues that might arise from using an entirely metal body. That's also why there's a dearth of antenna lines etched into the 6P's frame -- only four small ones are visible extending out of the black bar, and none of them help break up the phone's clean lines. Just south of the camera assembly is the now-standard Nexus logo and a curious, shallow dimple etched into the metal frame -- say hello to the Nexus Imprint fingerprint sensor. To use a cliché, it works like a charm. Sure, now and then it'll complain that you've moved your finger too fast, but it's generally snappy and accurate. And that's a good thing, because after discovering how flaky the power button is, I used that fingerprint sensor almost exclusively to fire up the phone. As mentioned, the 6P sports a surprisingly pretty 5.7-inch, WQHD screen. In case you haven't been keeping tabs, that takes the same number of pixels as last year's Nexus 6 and squeezes them into a slightly smaller screen. All told, that leaves us with a pixel density of about 518 pixels per inch, so it's no surprise, then, that text and detailed photos appear incredibly crisp; good luck trying to pick out individual pixels during your day-to-day routine. It's not as bright as the screen on the Galaxy Note 5, but the difference is basically negligible. Watch out, though: The adaptive brightness option in settings might throw you off. The maximum brightness can fluctuate pretty dramatically depending on how bright your surroundings are, and I was utterly disappointed in the 6P's display until I remembered this feature and turned it off. My only real gripe is that the glossy finish of the Gorilla Glass 4 panel can sometimes make glare an issue when using the phone outside. The 6P also comes with an Ambient Display mode that fires up parts of the screen when notifications roll in, or when the phone is moved. In my experience, the former worked as intended but I sometimes just didn't get a readout when I picked up the phone. Other times, it would only spring to life after I'd held the thing for a few seconds and put it back down. Saturation levels were pleasant to my eyes -- photos of a night market in China were similarly punchy on the Galaxy Note 5 and Nexus 6P, although the latter makes some warmer colors and earth tones look a little more... full-bodied? Substantive? Anyway. Whites on the 6P's screen are cooler and a little blue, especially compared to the papery whites on the Moto X Pure. Longtime readers will know I'm sort of a sucker for oversaturated colors. If that's not your thing, though, you're in luck: If you enable Developer Options in the device's settings, you can choose an sRGB mode for more accurate, if less exciting, colors. The 6P's screen is tuned differently than others I prefer a bit more, but it's hardly a dealbreaker and the ability to switch into a more accurate mode might make the 6P more palatable to people who prefer the more color-accurate Nexus 5 display. Of course, what's a decent screen without quality audio to go with it? The Nexus 6P is the first in the line to pack dual front-facing speakers for a more gratifying media experience... or at least, that was the idea. The dual drivers get surprisingly loud and are more than good enough for podcasts and YouTube videos, but they still sound a little too airy for my liking; there's a lack of substance when it comes to mids and lows that makes the audio feel lifeless. BoomSound speakers these ain't. Be warned, though: I might care a little too much about mobile speakers, especially considering most people will (and should) just use headphones with their smartphones. We'll have a deeper, more nuanced review of Android 6.0 Marshmallow for you soon, but here's what you need to know about the new OS and the Nexus 6P. At first glance, Marshmallow doesn't look much different from last year's Lollipop, except for the updated Google logo that lives in the ever-present search bar and a bolder font for the time display on the lock screen. Most of the other changes you'll find, like the vertically scrolling app launcher, hit devices running the Google Now launcher late last month so some people have had time to get used to them. 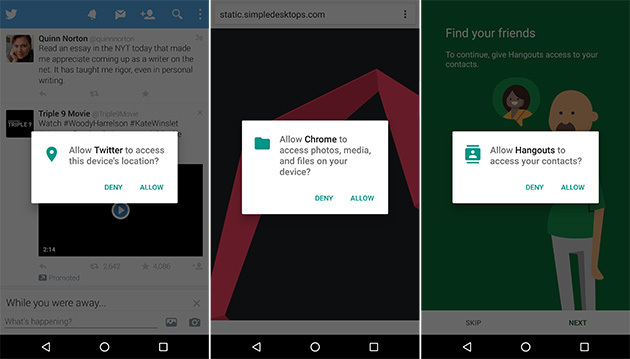 Beyond those minor cosmetic changes, users finally get a smarter way to deal with app permissions. In the old days, people were presented with a list of all the potential actions an app could take and had to agree to them before even downloading it. Surprise, surprise: Few people actually read through that list before hitting "Accept," and while that wasn't a huge security concern for many of the legitimate apps floating around in the Play Store, it created a blind spot that allowed some users to be ensnared by shady developers. In Marshmallow, apps now ask your permission whenever they actually try to do something new, like when Twitter wants to figure out where you are or when Chrome wants access to your media. It might seem more annoying to have to deal with popups whenever an app wants your attention, but users might come away with a better understanding of their device security. And that would be a welcome change indeed. Google's Now on Tap feature is one of the most obvious additions, not to mention one of the most helpful. Say you're reading an article about famed anime studio Sunrise. Pressing and holding the 6P's home key invokes Now on Tap, which quickly scans what you're looking at and brings up contextually related subjects so you can dive deeper. In Sunrise's case, Now on Tap brought up results for TVTropes (the time-devouring source of the article) and cards that offered search, YouTube and image results for a few series the company worked on. More importantly, the feature isn't limited to text, or first-party Google apps. I've been plowing through the excellent Hamilton cast recording on Spotify over the weekend, and Now on Tap happily brought up cards for the Broadway show itself along with two of its key actors. It's certainly an impressive feat to show off, but here's the thing: Now on Tap doesn't always hone in on the subjects you actually want it to. Still, it's a thoughtful feature that's bound to get better as Google makes back-end changes and more developers build in support for it. Of course, some of the most important changes are the ones that aren't immediately apparent. In addition to the battery-saving Android Sensor Hub, Marshmallow also has a feature called Doze that puts the 6P into a kind of deep sleep when the accelerometer can tell the phone isn't going anywhere. On average, the battery drained about 3 or 4 percent an hour while the 6P was hanging out on my desk, so you shouldn't have to worry about waking up and rushing to the office with a dead phone in tow. What's more, some apps will go "inactive" to save battery if you haven't launched them in a while, or if they're not running a process or generating notifications. While this is mostly an autonomic function, you can always pop into the developer settings and toggle apps into inactivity yourself. Speaking of apps, Google built in a way for apps to automatically back themselves up to Google Drive so your saved data gets pulled down onto the phone if and when you reinstall it. It's a Marshmallow-only feature, so I haven't gotten to test it with other devices, but I'll update this review if further testing reveals anything new. Oh, and it's gotten a whole lot easier to talk to Google Now, assuming you're willing to dig into the settings a bit. Once you've enabled it and trained the phone to respond to your voice, you use the "OK, Google" command to perform quick searches or make requests even when the screen's off. This was easily one of my favorite things about devices like the Moto X series, and I'm thrilled it's here too (if only because I won't accidentally lose the 6P in the laundry). As far as I'm concerned, this is the one thing Google and Huawei really needed to nail. 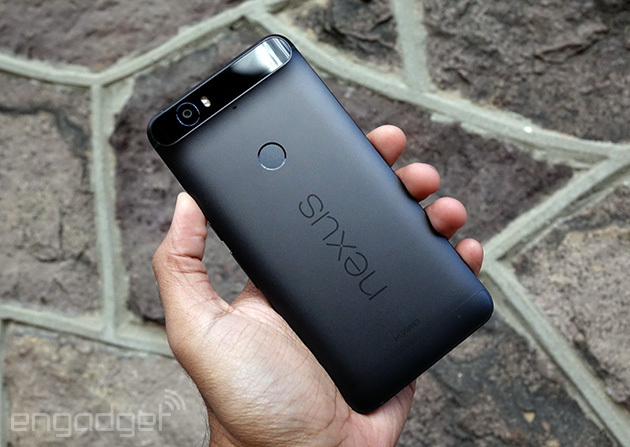 Just look back at the annals of Nexus phone history -- we loved their speediness and stock software, but kind words about their cameras are tougher to come by. 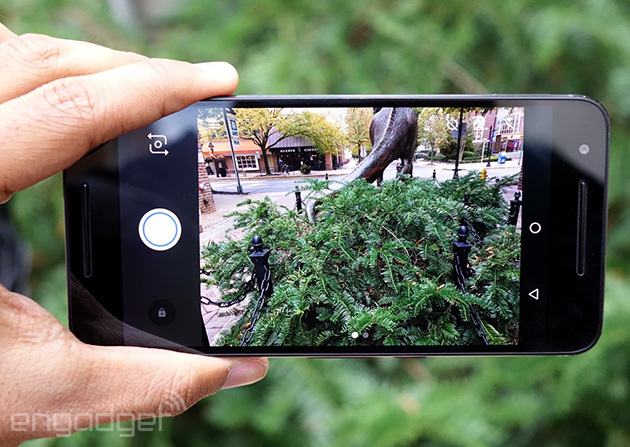 In an attempt to change the Nexus line's photographic fortunes, the companies chose a 12.3-megapixel rear camera with an f/2.0 aperture and 1.55-micron pixels that allow the sensor to capture more light than previous models. That should mean good things for low-light performance (which is especially nice since the Nexus 6's camera had pixels that were 1.12 microns and sort of sucked in the dark) but let's talk about daylight conditions first. In general, the 6P is a strong performer when there's plenty of light -- I'm not really a fan of cameras that default to shooting in 4:3, but that's a "me" problem. Colors in my photos were generally vibrant, although there were a few cases where shots came out a little drabber than I expected. Still, there's plenty of detail in the resulting shots. Focusing was quick thanks to the 6P's laser autofocus module; in fact, I squeezed off plenty of pretty photos without tapping to focus at all. 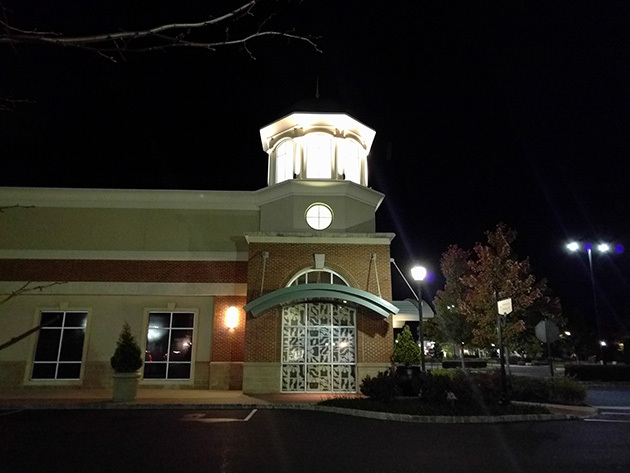 Of course, you'll have to manually focus from time to time, and that's usually when I saw the automatic exposure get a little funky -- the 6P would occasionally wildly overexpose the sky to the point where a normally bright blue turned out a little neon. No, it's not HDR either -- I left that off. The 6P also sports an 8-megapixel front-facing camera, which produced crisp selfies, if you're into that sort of thing. Most of my time was spent shooting with the 6P and the Galaxy Note 5's 16MP camera side by side and while the differences were notable -- the Note obviously captured more detail -- the 6P never felt totally outclassed by Samsung's superior imaging. For a Nexus phone, that's huge. Now, about that darkness. Plenty of phones (maybe even the majority of them) are weak at capturing those stray photons when the light gets dim, and the Nexus 6P manages to distance itself from the pack just a bit. In fact, a few times I was surprised at how bright some of its low-light photos turned out considering it was nearly pitch-black to my eyes, although you're never going to escape the grain that pervades these sorts of shots. The autofocus also gets a little flaky in the dark, so tapping to focus is normally the way to go. When it comes to sheer horsepower, there are more surprises here than you'd expect. The brain of the operation is a newer revision of Qualcomm's familiar 2.0GHz octa-core Snapdragon 810 chipset with an Adreno 430 GPU. That means the 6P is firmly in the top tier of high-performance smartphones, and it certainly feels like it... although that's not always borne out in the benchmarks. The results were a mixed bag compared to the rest of this year's most powerful Android phones, although the Nexus 6P generally fought them to a standstill when it came to graphics. 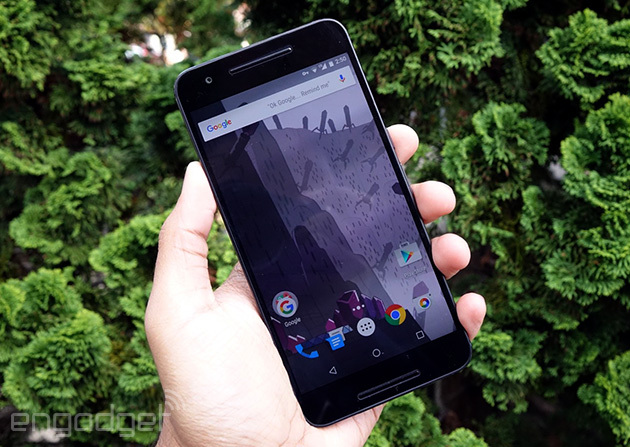 Make no mistake, though: The Nexus 6P still feels fast. The combination of unfettered Android and high-end silicon makes for a seriously buttery experience as I leapt between lots of running apps and swiped through long webpages. Performance in games like Asphalt 8: Airborne and Dead Trigger 2 (both with graphical quality cranked up all the way) was excellent too, with nary a hiccup or an overly warm part of the phone to be observed. I'm honestly not sure how to square away some of the phone's weak benchmarks with its seemingly strong real-world performance, although it suggests that the sort of smooth experience we've come to expect from our smartphones doesn't require as much power to achieve as we used to think. I'll keep digging into the situation and update this review as I learn more. Meanwhile, we've got another kind of power to dig into. Despite being a physically smaller device, the Nexus 6P packs a more capacious battery than last year's Nexus 6 (think 3,450mAh, compared to the N6's 3,220mAh cell). Bigger is almost always better when it comes to batteries and Android Marshmallow comes with plenty of software tweaks meant to make phones sip on power more judiciously, so how did the 6P fare? Maybe not quite as mind-blowingly good as you'd expect, not shabby nonetheless. In our standard video-rundown test, which involves looping an HD video with the screen brightness set to 50 percent, the 6P stuck around for 11 hours and 34 minutes. That's better than Google's 10-hour video playback estimates (although you've got to consider it uses different testing methodologies than we do). It also fared better than the Moto X Pure Edition, but not quite as well as the Galaxy Note 5 and its 3,000mAh battery. When it came to actual day-to-day use, though, things were considerably peachier. In day-to-day use, the Nexus 6P routinely lasted through 13-hour workdays with around 30 percent left in the tank. Bear in mind those workdays are filled with Slack conversations, emails, geeking out over music on Spotify and the occasional YouTube video and games -- what I'd consider pretty heavy use. The thing is, when our internal chat room quieted down and emails tapered off for the weekend, battery use dropped dramatically thanks to Marshmallow's Doze feature. Leaving the phone alone on my desk for a little while I read a book led to notable dips in power consumption, and the phone often only burned through 1 percent an hour while connected to WiFi while I slept. 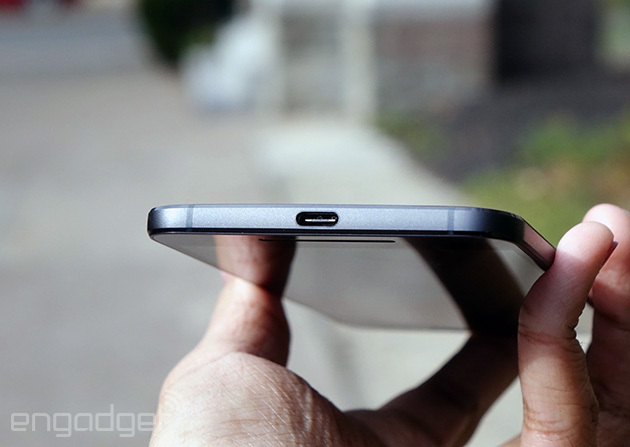 While we're talking about power, the inclusion of USB Type-C means the Nexus 6P can also act as an external battery for devices with the same power port. Sure, it's not the fastest thing in the world, but I was able to bring a completely dead OnePlus 2 back to life using the 6P for a jump-start. This will be an absolutely incredible feature once we get more phones with Type-C ports. If you're thinking of buying a 6P, you're probably itching for a phone with stock (or very close to stock) Android and the promise of quick software updates. Well, there's the Moto X Pure, which promises a software situation that's almost as compelling as Google's... although the company's maybe not as forward-thinking about updates as it once claimed. You'll be working with very slightly pokier hardware too -- the Pure edition runs a hexa-core Snapdragon 808 chip with an Adreno 418 GPU, making it slightly less handy for gaming and graphically intensive tasks. The benchmarks might suggest otherwise, but the Pure Edition exhibited more quick hiccups when multitasking than the Nexus 6P did after both were completely reset. Still, it's a highly customizable phone with useful software features that actually add value to the stock Android experience, and its 32GB model costs $450, or about $50 less than a 32GB Nexus 6P. And did I mention it has expandable memory, too? Since we have two new Nexus phones this year, you'll also have to decide whether you're better off with the 6P's little counterpart. Both are similarly light and pack the same 12.3-megapixel cameras. Though the 5X has the same Snapdragon 808 chip as the Pure edition, it lacks a 128GB model for the digital hoarders out there. The bigger battery and WQHD display will make the 6P a more obvious choice for some of you, but there's still something to be said for a highly pocket-friendly design, the full breadth of Marshmallow's thoughtful changes and a price tag that starts at $379. Of course, if you're just looking for a high-end Android phone and aren't bothered by customized interfaces, you might like the Galaxy Note. The proposition can be a tough one to swallow (especially since it costs around $700 from a carrier sans contract) but in exchange you're getting a sleek design, one of the best cameras I've ever seen on a smartphone and some seriously powerful performance. 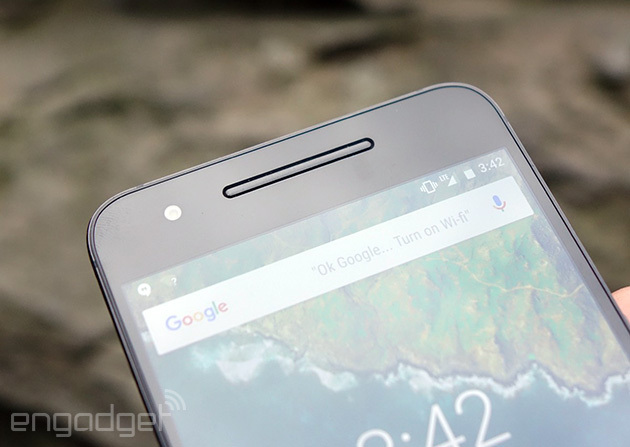 The Nexus 6P isn't a perfect phone. Its power button is frustratingly touchy. Its design is a little lacking in charm. The camera, while better, isn't a huge leap over last year's. And yet, what Google and Huawei get right, they get very right. 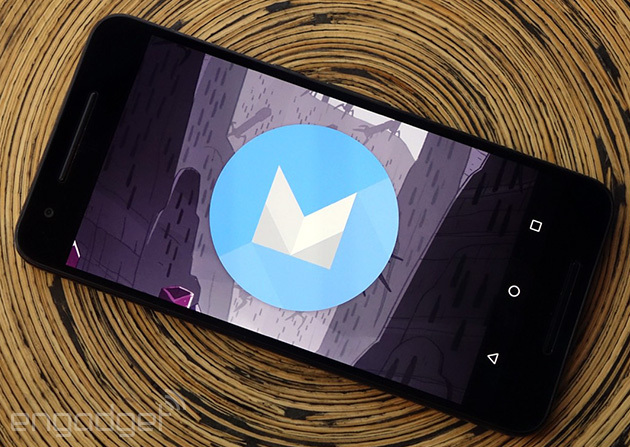 Android 6.0 Marshmallow is a thoughtful, valuable update even if it's not as outright dramatic as Lollipop was. The fit and finish of the all-metal body is top-notch. The fingerprint sensor works like a charm and the phone packs plenty of oomph into a package you can actually use comfortably with one hand. There's plenty to like here, even if the phone isn't for everyone (not that it was ever really meant to be). 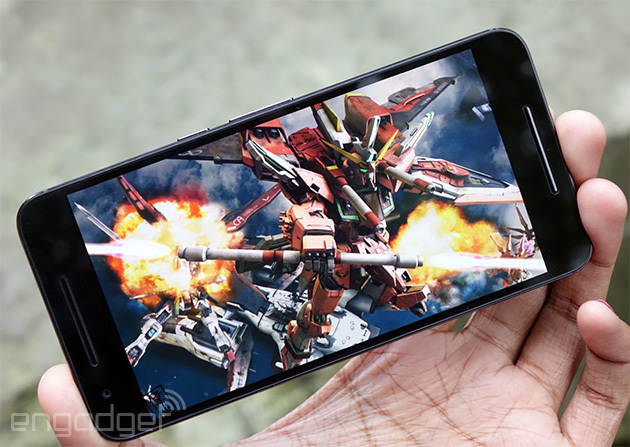 If you're down to see where the bleeding edge of Android takes you, this is the phone for you. If you're just looking for an excellent Android phone, this could be the phone for you too... along with any number of strong alternatives.